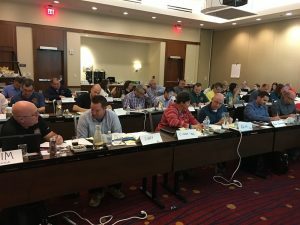 For an agency considering accreditation or an officer contemplating credentialing, a local consortium may be their first contact with CPSE. 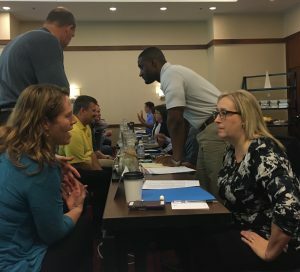 Wanting to ensure our consortiums are operating effectively and feel supported, we brought the coordinators (and co-coordinators) of the 15 state and regional consortiums to the DC metro for a day and half workshop this week. Some consortiums predate the official formation of CPSE (in 2006) while others have emerged onto the scene in the last few years. All consortiums, along with their primary/secondary contacts, and the regions they serve are listed on the CPSE website. Consortium engagement and development was identified as a key opportunity during the development of CPSE’s recent strategic plan. 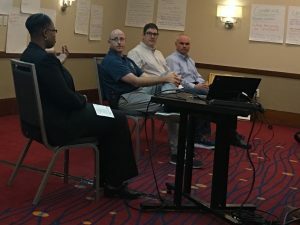 The CPSE Board enthusiastically supported the idea and funding for the workshop as the latest in a series of efforts for greater consortium engagement. We see our consortiums as our partners in achieving our mission to lead the fire and emergency service to excellence. We further see these great groups as a networking clearinghouse for accreditation and credentialing, a geographically-focused avenue for sharing and receiving information, a pipeline for volunteers and volunteer leaders, and a key component to CPSE’s success, sustainability, and growth. 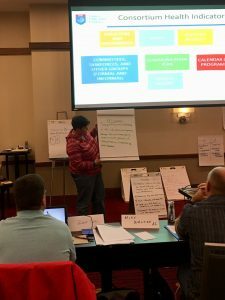 Over the day and a half, the coordinators learned how to develop/improve their consortium’s mission and goals, member recruitment and retention efforts, communication strategies, and meeting planning and execution processes. A select group of attendees participated in two panels: Best Practices in Consortium Effectiveness and Consortium Management. The work of the consortiums, and the positive outcome of the workshop, wouldn’t have been possible without the dedication and time volunteered by the coordinators. Thank you!! 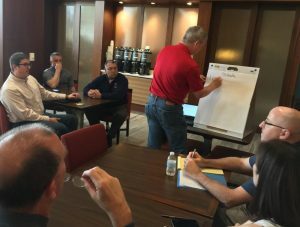 PreviousFire Service Accreditation and ARFF: If Not This, Then What?